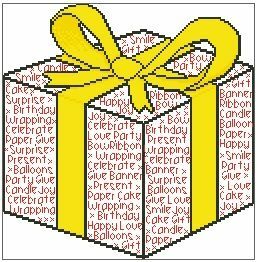 Birthday Gift In Words is a unique outline cross stitch chart measuring 126 stitches wide by 128 stitches high, and though it has been charted in 4 DMC colours, it has been designed so you can use whatever colours you choose when stitching. It is perfect for hand dyed threads and fabric. A thread usage list is available on request. 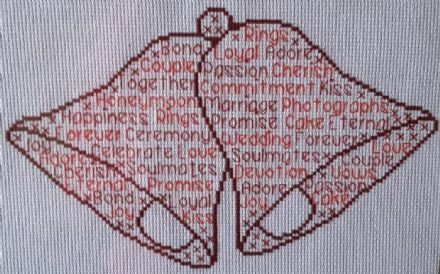 Please email Kim if you would like a full kit price for this chart.